POOR weather conditions may have marred the spring lambing season this week, but the picture on the market floor was much brighter. Auctioneers reported a strong start to Easter trade, with several marts seeing a good number of new season lambs and cattle going under the hammer. It comes as figures from the Livestock Auctioneers Association (LAA) showed 200,000 more sheep were sold through markets in 2014 compared to 2013. Bakewell enjoyed a busy sale on Monday and auctioneer Oliver Hiles said 124 spring lambs reached a top figure of 415p/kg and £156 per head and there was still ‘tremendous’ demand for cull ewes and hoggs. NFU livestock board chairman Charles Sercombe said focus had switched to the upcoming marketing period and urged retailers and consumers to support British lamb. He said: “We are now heading towards the time of year when many will be thinking about their Easter Sunday meal, which I would hope will be Red Tractor assured British lamb. “For those farmers who take the risk to lamb early, the support of the British public for their product is essential and the Easter uplift is a vital part of the marketing strategy for any early lambing flock." National Sheep Association (NSA) chief executive Phil Stocker said strong winds and showers had caused disruption on many farms, especially those in the north of the UK. 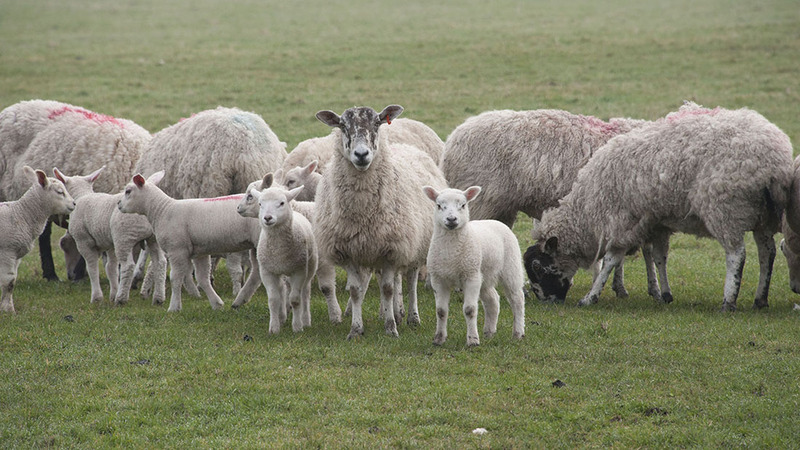 Farmers Guardian’s climate expert Dr Simon Keeling said his Farmers Weather service had been inundated with calls from anxious farmers concerned about the effects of the weather on lambing. And with the Easter break upon us and scores of visitors set to flock the countryside, farmers were once again reporting serious dog attacks on their sheep and lambs. Farmers Guardian’s Take the Lead campaign, run in conjunction with the British Veterinary Association (BVA) and NSA, has continued to target pet owners to get the message across that keeping dogs on leads around livestock is the only option.